Harold Arthur Cruickshank was born in 1892 in Kimberly, South Africa, son of William, a hospital superintendent. They resided at 3 Parsons Lane. 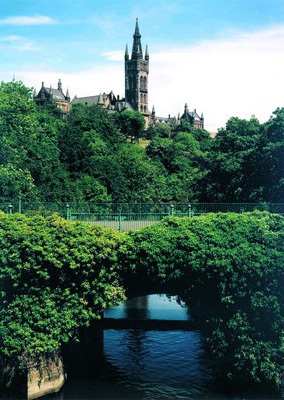 In 1911, Cruickshank passed preliminary exams in English, Mathematics, Latin, French and Dynamics, allowing him to enrol in Latin and French classes at the University of Glasgow. After passing exams in both subjects, Harold then enrolled in Medicine for the 1912-1913 session, taking Practical Chemistry, Practical Zoology, Chemistry and Zoology. The First World War postponed Harold’s studies, and he joined 3rd Royal Scots Fusiliers regiment. On 27 May 1915 the Supplement to the London Gazette reported that he had been promoted from 2nd Lieutenant to Lieutenant on 13 April 1915. He was killed in action on 28 September 1915, aged 23, and buried in France, in Bethune town cemetery, Bethune-Nord-Pas-de-Calais, plot II K1. His death was marked by his former classmates, who chose to commemorate Harold with a Longfellow quote: His signal deeds and prowess high; demands no pompous eulogy – Ye saw his deeds. Lieutenant Cruickshank is listed on the University's WWI Roll of Honour.